Size 8 boots, and a lazy right eye after I’ve had just one drink too many. My dad passed down a lot of traits from the branch extending above me on our oak-like family tree. Some of those things came innately, while others were taught over time. I’m unequivocally grateful for all of them. That said I’m not sure many of those direct descendant qualities from dad mean more to me than the passion for the outdoors. My dad passed away March 23. I knew that my next post on AHuntersTales.com would be about him. And I knew it would be a while before I would be able to muster up the ability to write that post. It took a visit to Iowa with a couple dear friends, and hunting buddies, to help me realize that time had come. In thinking about my dad, hunting typically finds its way into the reflection. It was a shared passion. I have probably taken it to greater extremes than he ever did, but only because he gave spark to ignite and, most importantly, encourage it. I’m a parent now. And so often when you’re a parent, you want your children to be afforded opportunities that were better than those you received. Not true for hunting and me. 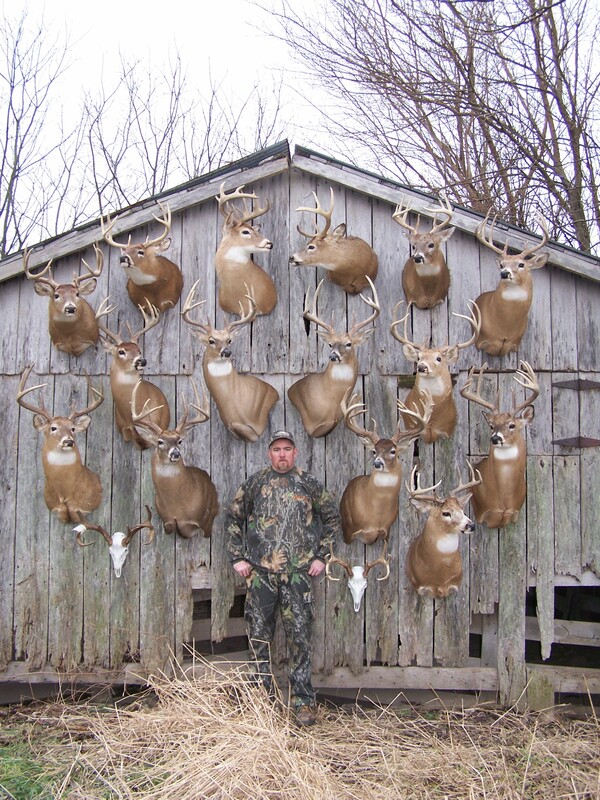 When it comes to hunting I want to do things the same way my dad did with me. If that leads to my kids having a similar passion for the outdoors that I’ve enjoyed for three decades, that would suit me just fine. It was on our way home feeding our cattle one Wednesday evening over 20 years ago when my dad and I made the trip to Belmont Archery. I was 15 and had saved enough money to make most of the payment for a new bow. Dad, who shot league archery many years previous to that, waited patiently as we outfitted a new PSE Spirit. When it came time to pay for the bow, dad surprised me by footing the entire bill. I thanked him with hours and hours of shooting that bow in our back yard. The recovery of my first archery buck came a couple seasons later. After we bumped the buck, he thought we should back out of the woods. I was dumbfounded that we’d leave the woods before laying hands on that deer. It was another teachable moment that proved his decision to be absolutely correct. We returned together early the next morning to find the buck within a short walk of where we stopped the night before. 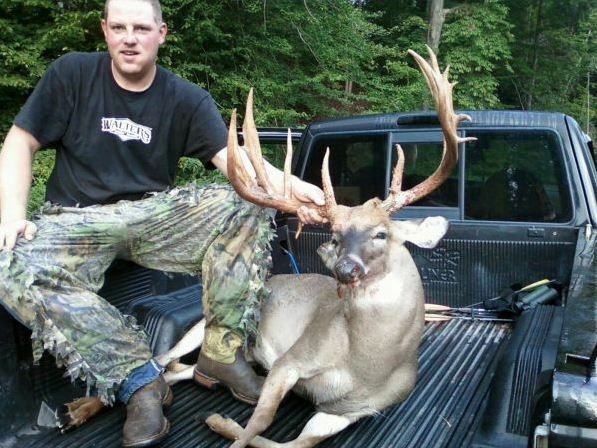 I remember calling my dad a short time after arrowing my biggest deer ever many years later. He wanted to hear all the details of the encounter and gave his counsel on how to approach the recovery. It’s funny, I’ve recovered more deer than he probably ever did, but still soaked up every bit of wisdom he’d share. Of course, that sentiment didn’t stop at hunting advice. Speaking of deer recoveries, one of my favorites included my dad in 2000. 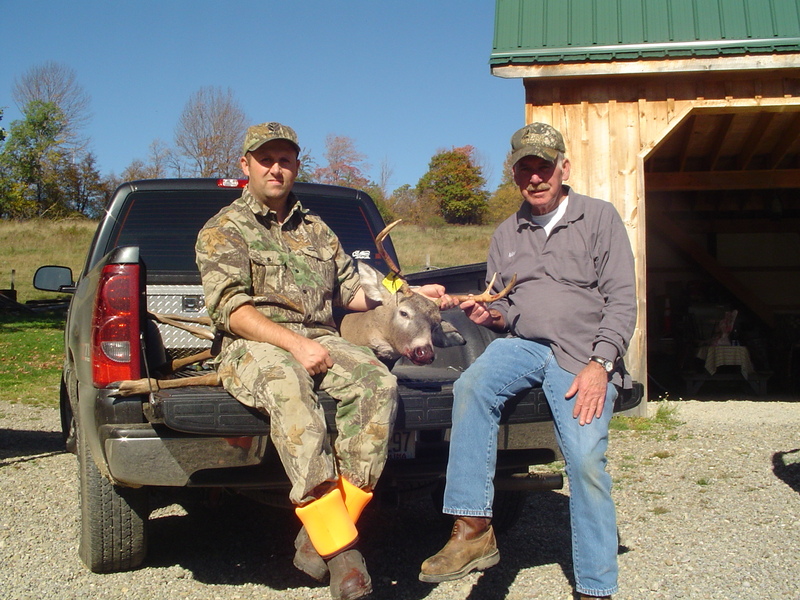 I’d arrowed a nice 7-point on our farm during a weeklong vacation there from Virginia, where I’d lived at the time. Dad wasn’t too far removed from a scary massive stroke he’d suffered that fall. Soon after getting out of the hospital, he purchased a four-wheeler to help him get around a little easier. I called dad from the stand after connecting on the deer. He was excited to join in the recovery and I was equally elated to have him there. After he arrived on the four-wheeler, we used it to help us navigate the big woods. 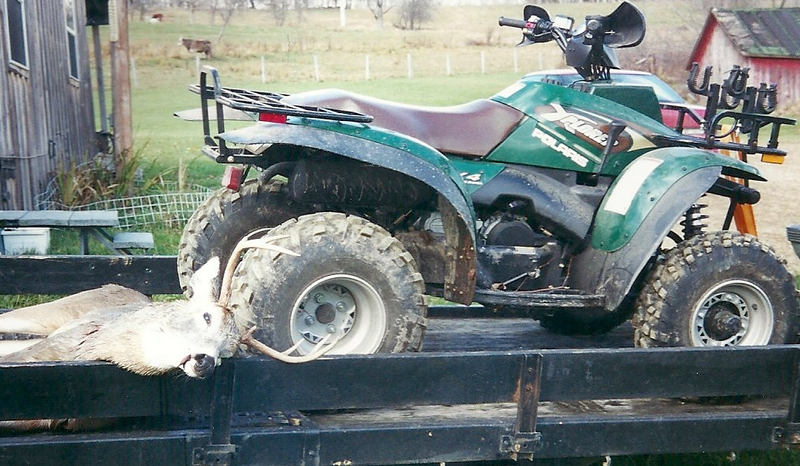 The 7-point was no match for dad’s new 4-wheeler! It wasn’t long before the deer was strapped to the back of the four-wheeler with me and dad riding shotgun out of the woods. It was a great moment, one we were blessed to have after dealing with the aftermath of that stroke. I’m thankful for so many of the recoveries he and I shared over the years. And I wasn’t always the successful hunter. There was the time very early in my hunting career when dad had shot a buck. 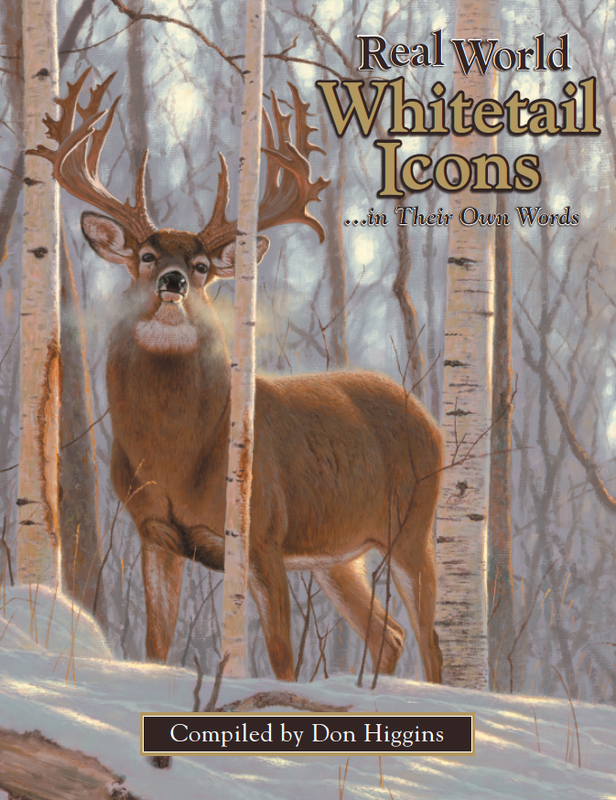 He valued the opportunity to teach my brothers and me during those early years of our hunting. On this particular hunt, he was stressing the importance of gun safety, more specifically not climbing out of a stand with a loaded gun. Shortly after he descended, he tripped and fell into a spring, thereby filling his unloaded shotgun with mud. Lesson learned! 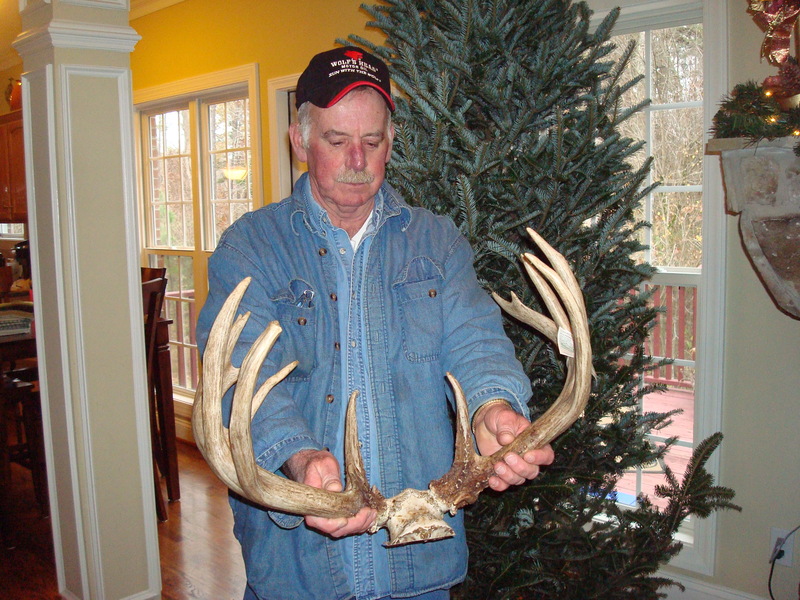 Dad admiring my 2010 Illinois buck while on a visit to our house. Dad ended up carrying my shotgun throughout the recovery, one that included him providing several blood tracking tips that soaked into my young hunting soul. A voracious photo taker (I’m not sure any person has purchased more disposable cameras over time), dad played lead photographer for so many of those post-hunt field photos. I wish he was in more of them alongside me. I am fortunate that we were together in several though. After an introduction to trail cameras several years ago, he became just as passionate about getting photos of deer and bear by way of several cameras. He turned into my best long-distance scout! As dad got older, he seemed less interested in the hunt itself. 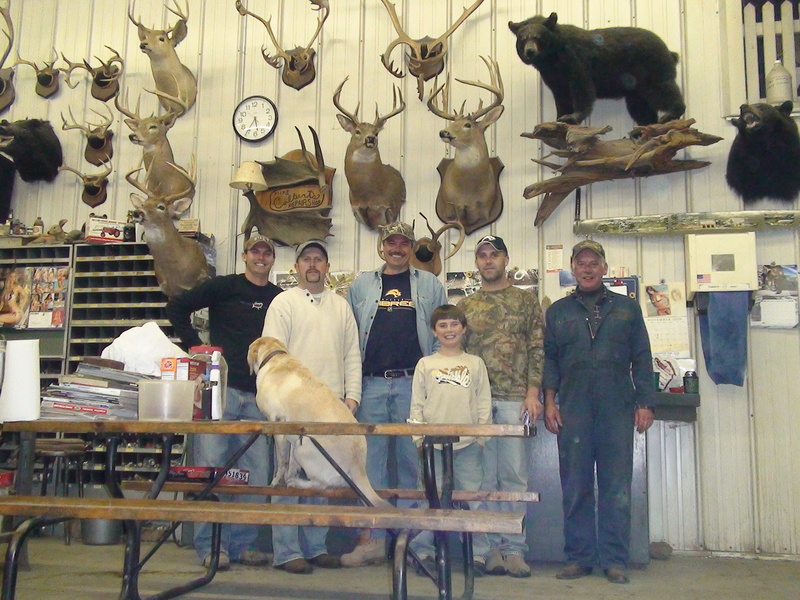 He was just as happy about the fellowship hunting camp brought with his family and friends. 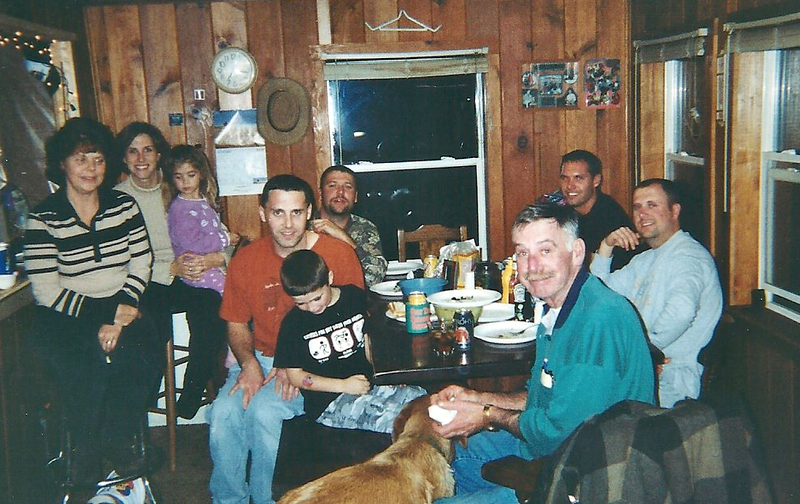 Taken several years ago, no one at this table realized this would be the last time our entire immediate family (mom, dad, three sons) would share deer camp together. That, too, is something that has rubbed off on me of late. I still love hunting, but I’ve come to learn that sharing the field with family and friends can be just as important. 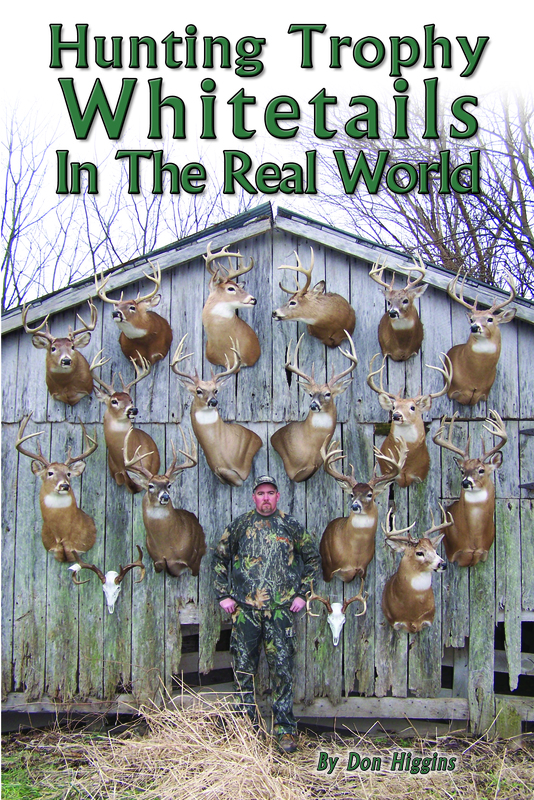 Shortly after I killed my biggest buck in Illinois, I wrote a post-hunt recap on this very site. In it, I noted how thankful I was for my dad introducing me to hunting. I was sitting in a stand in Illinois the next day when my dad texted me that he liked the story. I explicitly recall asking if he read that part. He said he had and that he thought it was nice. I told him I meant it, and that I loved him. Then, I teared up on the stand. I knew dad became a frequent lurker of this site a while back. I hadn’t updated the blog in a while and he pointed that out during a phone conversation. Dad and me with a buck we’d nicknamed Ol’ Wide Boy, a mature 4-point. A too-rare occasion when dad was on the subject side for a photo! The truth is I wished I’d have posted more too. I have so many stories with dad that have gone untold, and I wish I’d used them to help him understand just how much I value those memories afield. Those memories are very much like the rest of the traits he passed down. And I wouldn’t trade any of them for anything – not a single damn thing.